Returning to education can be a difficult experience for most people. If you are a veteran returning to civilian life that difficulty can be increased by the unique challenges veterans face, including feelings of isolation, lack of confidence and coping without the structure provided by the military. 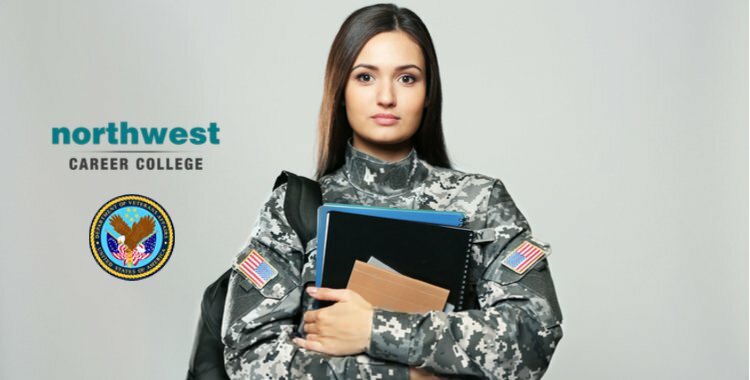 Here at Northwest Career College, we are committed to providing the best educational opportunities possible for our country’s veterans, from providing advice on VA Funding to educational support on our courses. As part of that commitment we’ve put together these four tips for veterans returning to education. 1. Take full advantage of the veteran specific educations benefits – Programs such as the GI Bill offer veterans a wide range of educational benefits, solving many of the concerns veterans have about retraining and funding for educational courses. All the information on the various veterans educational benefits can be found on the VA Website. Alternatively, you call us on (702) 403-1592 to speak to one of our enrollment experts and we will provide you with all the information you’ll need to start your application. 2. Reach out to other veterans – One of the main issues veterans face, when transitioning back into civilian life, is feeling isolated from the people around them. Being able to connect with other veterans creates an excellent forum for discussion and the sharing of experiences. The VA sponsors a number of groups nationwide aimed at bringing veterans together. There are also a large number of online communities and student-run veterans groups that you can join. 3. Understand your career options – Veterans often leave the military with skills that can help them transition into high-demand careers. When approaching education or training it is always a good idea to assess the skills you gained in the military and get a better understanding of how those could guide your career aspirations and benefit potential employers. 4. Move at a pace you are comfortable with – Civilian education sets a very different pace, and operates at a different tone, to military training. Transitioning between these two very different types of education can cause a level of anxiety in some veterans. At Northwest we offer flexible courses and timetables, both on campus and online, to suit the pace you want to study at. Previous Blog: The Importance Of Communication As A Dental AssistantNext Blog: Why Train As A Medical Administrative Assistant?